Elfprize identity by Avatar Design. This project was the final culmination of a 13-year exploration of the world of get-rich-quick schemes. In high school I sent away for John Wright’s “The Royal Road To Riches,” a home-publishing business that suggested the easiest way to become a millionare was to reprint books about reprinting books and sell them in the classified ads. This was 1989. In college, I bought into John Stefanchik’s “Profits Through Paper” method for generating wealth by purchasing liens on property and reselling them for a huge “profit”. This was 1995 and about the time the web’s potential for online retail was becoming realized. In graduate school I became fascinated with using the rhetoric of get-rich-quick schemes. This was 2003 and still early enough for most folks to still feel the disillusionment of the dot com bust. A perfect time to launch a new tech startup selling trinkets online. 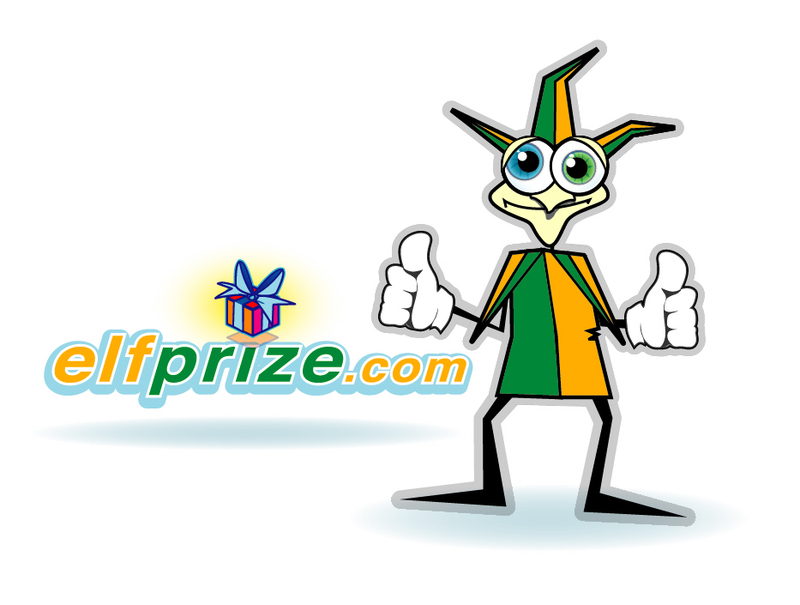 Elfprize was my stab at online retail utilizing the Specialty Merchandise Corporation “engine”. So far I’ve generated exactly zero dollars in profit. It started out as a Flash game that would simulate elves mailing prizes to its winners. Higher scores would receive better prizes. After quite a bit of legal research, I discovered that my funding model violated several state racing and gaming laws. Instead, as sort of a consolation prize, I created the site as it is archived now. Unfortunately I was never able to send out actual merchandise. A busted attempt at getting rich with a dot com turns into manual labor in a costume for low wages. After art school is hard. 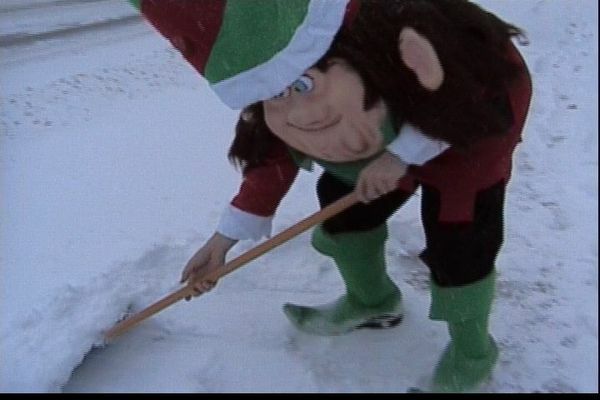 For a short time, months after the initial launch, Elfprize.com offered the snow removal services of its mascot elf character. With each sidewalk and driveway cleared, customers could also elect to hear the sad story of one Christmas elf named Marty. The story went that Marty was a helper of Santa who fell asleep in someone’s house on Christmas Eve. Left behind with no flying reindeer, the poor elf had to work his way back to the North Pole by doing odd jobs. By the end of the story Marty’s eyes are opened to a world of post-holiday depression and consumer guilt. He spends time aimlessly walking the department store aisles of 75% off X-mas merchandise in utter disbelief over humanity’s capacity to forget about Christmas for several months out of the year. For the first time Marty’s world is not one of perpetual Christmas cheer. Instead, he learns to deal with his existential funk by gleefully performing the drudgery involved in after-holiday cleanup.